The earliest memories of the band performing together are within the close confines of a rehearsal room in Putney, and street-side jamming sessions on the pavement ahead of a show. It was a scene already common to the band as musicians falling in and out of bands of each and every genre. Band members Ben Lovett and Marcus Mumford were already working on songs together from their school days, but those songs didn’t realise their full potential until Winston Marshall (armed with a banjo and dobro), and Ted Dwane (double bass, but with a penchant for being a multi-instrumental marvel) gave these songs new arrangements, and injected them with a real ‘band’ dynamic. A recent scientific study regarding how memories are formed, was carried out, in which Scientist told two short stories to some volunteers who were then told to remember as many details as possible. Immediately afterward, they were asked to describe what happened in the story.Then they were given a 10-minute delay that consisted either of wakeful resting or playing a spot-the-difference game on the computer.During the wakeful resting portion, participants were asked to just rest quietly with their eyes closed in a darkened room for 10 minutes while the experimenter left the room. They discovered that the volunteers who had a wakeful resting period were better able to recall the information than those who played the computer game, afterwards. Which suggests that instead of concentrating hard immediately afterwards or using fiddly ‘memory tricks’ such as associating new information with colours or objects, Simply taking a few minutes of ‘wakeful resting’ allows the information to sink in properly and that the key to remembering important facts is shutting out the world for a few minutes. They discovered that It works best with verbal information rather than numbers, which led them to the conclusion that memories are not formed as fast as people think, and having a short rest and blocking out external distractions gives the information time to be absorbed properly by the brain. The research also demonstrates that activities that we are engaged in shortly after learning new information really affect how well we remember it and that there is growing evidence to suggest that the point at which we experience new information is ‘just at a very early stage of memory formation and that further neural processes have to occur after this stage for us to be able to remember this information at a later point in time.’ which is why you remember things better when you shut out all distractions upon learning some new piece of information. 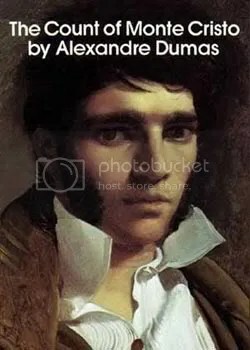 Renowned French Novelist Alexandre Dumas was born 24th July1802 and his exciting historical novels of high adventure have made him one of the most widely read French authors in the world. Many of his novels, including The Count of Monte Cristo, The Three Musketeers, Twenty Years After, and The Vicomte de Bragelonne were originally serialized. He also wrote plays and magazine articles and was a prolific correspondent. Born in poverty, in Villers-Cotterêts in the department of Aisne, in Picardy, France, Dumas was the grandson of a French nobleman and a Haitian slave.Although His mother was unable to provide Dumas with much of an education, he read everything he could obtain. His mother’s stories of his father’s bravery during the years of Napoleon I of France inspired Dumas’ vivid imagination for adventure. Although poor, the family had their father’s distinguished reputation and aristocratic position. In 1822, after the restoration of the monarchy, 20-year old Alexandre Dumas moved to Paris, where he worked at the Palais Royal in the office of Louis Philippe, Duke of Orléans. While in Paris, Dumas began writing for magazines and plays for the theatre. His first play, Henry III and His Courts, was produced in 1829, and was met with acclaim. The next year his second play, Christine, was equally popular, and he was financially able to write full-time. In 1830 he participated in the Revolution which ousted Charles X, and which replaced him on the throne with Dumas’ former employer, the Duke of Orléans, who would rule as Louis-Philippe, the Citizen King. After writing more successful plays, he turned his efforts to novels and found that many newspapers wanted serial novels, in 1838 Dumas rewrote one of his plays to create his first serial novel, titled Le Capitaine Paul, which led to his forming a production studio that turned out hundreds of stories, and among his most famous novels are The Conspirators (Le chevalier d’Harmental,),The Nutcracker (Histoire d’un casse-noisette, 1844): a revision of Hoffmann’s story The Nutcracker and the Mouse King, later adapted by Tchaikovsky as a ballet, The Three Musketeers, Twenty Years After, The Corsican Brothers, The Count of Monte Cristo, The Regent’s Daughter, La Reine Margot , The Forty-Five Guardsmen and The Black Tulip. From 1839 to 1841, Dumas, with the assistance of several friends, compiled Celebrated Crimes, an eight-volume collection of essays on famous criminals and crimes from European history, Dumas also collaborated with his fencing master Augustin Grisier in his 1840 novel, The Fencing Master, which was eventually banned in Russia by Czar Nicholas I, causing Dumas to be banned from visiting Russia until after the Czar’s death. Sadly after King Louis-Philippe of France was ousted in a revolt, Dumas was not looked upon favorably by the newly elected President, Louis-Napoléon Bonaparte as a result Dumas fled to Brussels in 1851, to escape his creditors, and from there he traveled to Russia, where French was the second language, and where his writings were enormously popular. Dumas spent two years in Russia, before moving on to seek adventure and fodder for more stories. In March 1861 the kingdom of Italy was proclaimed, with Victor Emmanuel II as its king. For the next three years Alexandre Dumas would be involved in the fight for a united Italy, founding and leading a newspaper, named Indipendente, and returning to Paris in 1864. In June 2005, Dumas’ recently discovered last novel, The Knight of Sainte-Hermine, went on sale in France. Within the story Dumas describes the Battle of Trafalgar, in which the death of Lord Nelson is explained. The novel was being published serially, and was nearly complete at the time of his death. A final two-and-a-half chapters were written by modern-day Dumas scholar Claude Schopp, who based his efforts on Dumas’ pre-writing notes, Alexandre Dumas’ home outside of Paris, the Château de Monte-Cristo, has also been restored and is open to the public and The Alexandre Dumas Paris Métro station was named in his honour in 1970.